Justice Nganjiwa wants transfer of bribery case – Royal Times of Nigeria. Justice Hyeladzira Ajiya Nganjiwa of the Federal High Court, Bayelsa Division, has asked the Chief Judge of Lagos state, Justice Opeyemi Oke, to transfer his case file to another judge for trial. The serving judge of the Federal High Court, was charged with unlawful enrichment to the tune of $260,000 and N8,650,000, has asked for the transfer of his case to another judge. Nganjiwa’s lawyer, Chief Robert Clarke (SAN) , while defending his client reason for opting for another judge said Justice Akintoye is already hearing the case of Mr. Rickey Tarfa (SAN), who was accused of bribing two judges, one of which is Justice Nganjiwa. 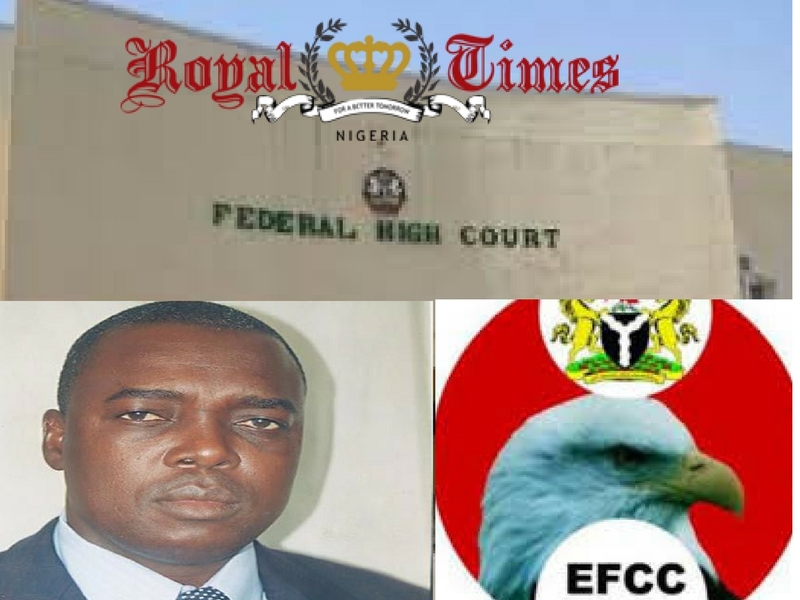 However, the prosecuting counsel for the EFCC, Mr. Wahab Shittu, described Clarke’s application as a ploy to frustrate the trial and urged Justice Akintoye to reject it. Shittu maintained that Tarfa’s case would have no bearing on Nganjiwa’s case because they were not being jointly tried.He said Clarke’s application was tantamount to asking for a stay of proceedings, which he said the court had been enjoined not to grant in a criminal case.